Maurice Blanchot (French: ; 22 September 1907 – 20 February 2003) was a French writer, philosopher, and literary theorist. His work had a strong influence on post-structuralist philosophers such as Jacques Derrida. Blanchot's work is not a coherent, all-encompassing 'theory', since it is a work founded on paradox and impossibility. The thread running through all his writing is the constant engagement with the 'question of literature', a simultaneous enactment and interrogation of the profoundly strange experience of writing. For Blanchot, 'literature begins at the moment when literature becomes a question' (Literature and the Right to Death). In the everyday use of language, words are the vehicles of ideas. The word 'flower' means flower that refers to flowers in the world. No doubt it is possible to read literature in this way, but literature is more than this everyday use of language. For in literature 'flower' does not just mean flower but many things and it can only do so because the word is independent from what it signifies. This independence, which is passed over in the everyday use of language, is the negativity at the heart of language. The word means something because it negates the physical reality of the thing. Only in this way can the idea arise. The absence of the thing is made good by the presence of the idea. What the everyday use of language steps over to make use of the idea, literature remains fascinated by, the absence that makes it possible. Literary language, therefore, is a double negation, both of the thing and the idea. It is in this space that literature becomes possible where words take on a strange and mysterious reality of their own, and where also meaning and reference remain allusive and ambiguous. Blanchot's best-known fictional works are Thomas l'Obscur (Thomas the Obscure), an unsettling récit ("[récit] is not the narration of an event, but that event itself, the approach to that event, the place where that event is made to happen") about the experience of reading and loss; Death Sentence; Aminadab and The Most High (about a bureaucrat in a totalitarian state). His central theoretical works are "Literature and the Right to Death" (in The Work of Fire and The Gaze of Orpheus), The Space of Literature, The Infinite Conversation, and The Writing of Disaster. Blanchot engages with Heidegger on the question of the philosopher's death, showing how literature and death are both experienced as anonymous passivity, an experience that Blanchot variously refers to as "the Neutral". Unlike Heidegger, Blanchot rejects the possibility of an authentic relation to death, because he rejects the possibility of death, that is to say of the individual's experience of death, and thus rejects, in total, the possibility of understanding and "properly" engaging with it. Blanchot also draws heavily from Franz Kafka, and his fictional work (like his theoretical work) is shot through with an engagement with Kafka's writing. Blanchot's work was also strongly influenced by his friends Emmanuel Levinas. Blanchot's later work in particular is influenced by Levinasian ethics and the question of responsibility to the Other. On the other hand, Blanchot's own literary works, like the famous Thomas the Obscure, heavily influenced Levinas's and Bataille's ideas about the possibility that our vision of reality is blurred because of the use of words (thus making everything you perceive automatically as abstract as words are). This search for the 'real' reality is illustrated by the works of Paul Celan and Stéphane Mallarmé. 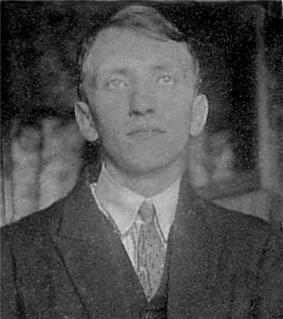 The main intellectual biography of Blanchot is by Christophe Bident: Maurice Blanchot, partenaire invisible. Little was known until recently about much of Blanchot's life, and he long remained one of the most mysterious figures of contemporary literature. Blanchot was born in the village of Quain (Saône-et-Loire) on September 22, 1907. Blanchot studied philosophy at the University of Strasbourg, where he became a close friend of the Lithuanian-born French phenomenologist, Emmanuel Levinas. He then embarked on a career as a political journalist in Paris. From 1932 to 1940 he was editor of the mainstream, conservative daily the "Journal des débats". Early in the 1930s he contributed to a series of radical nationalist magazines, while also serving as editor of the fiercely anti-German daily "Le rempart" in 1933 and as editor of Paul Lévy's anti-Nazi polemical weekly "Aux écoutes". In 1936 and 1937 he also contributed to the far right monthly "Combat" and to the nationalist-syndicalist daily "L'Insurgé", which eventually ceased publication – largely as a result of Blanchot's intervention – because of the anti-semitism of some of its collaborators. There is no dispute that Blanchot was nevertheless the author of a series of violently polemical articles attacking the government of the day and its confidence in the politics of the League of Nations, and warned persistently against the threat to peace in Europe posed by Nazi Germany. In December 1940, he met Nouvelle Revue Française, for which, as part of an elaborate ploy, he had been suggested by Jean Paulhan. He remained a bitter opponent of the fascist, anti-semitic novelist and journalist Robert Brasillach, who was the principal leader of the pro-Nazi collaborationist movement, and was active in the Resistance. In June 1944, Blanchot was almost executed by a Nazi firing squad (as recounted in his text The Instant of My Death). After the war Blanchot began working only as a novelist and literary critic. In 1947, Blanchot left Paris for the secluded village of Èze in the south of France, where he spent the next decade of his life. Like Sartre and other French intellectuals of the era, Blanchot avoided the academy as a means of livelihood, instead relying on his pen. Importantly, from 1953 to 1968, he published regularly in Nouvelle Revue Française. At the same time, he began a lifestyle of relative isolation, often not seeing close friends (like Levinas) for years, while continuing to write lengthy letters to them. Part of the reason for his self-imposed isolation (and only part of it – his isolation was closely connected to his writing and is often featured among his characters) was the fact that, for most of his life, Blanchot suffered from poor health. Blanchot's political activities after the war shifted to the left. He is widely credited with being one of main authors of the important "Manifesto of the 121", named after the number of its signatories, who included Jean-Paul Sartre, Robert Antelme, Alain Robbe-Grillet, Marguerite Duras, René Char, Henri Lefebvre, Alain Resnais, Simone Signoret and others, which supported the rights of conscripts to refuse the draft in Algeria. The manifesto was crucial to the intellectual response to the war. In May 1968, Blanchot once again emerged from personal obscurity, in support of the student protests. It was his sole public appearance after the war. Yet for fifty years he remained a consistent champion of modern literature and its tradition in French letters. During the later years of his life, he repeatedly wrote against the intellectual attraction to fascism, and notably against Heidegger's post-war silence over the Holocaust. Blanchot authored over the course of his career more than thirty works of fiction, literary criticism, and philosophy. Up to the 1970s, he worked continually in his writing to break the barriers between what are generally perceived as different "genres" or "tendencies", and much of his later work moves freely between narration and philosophical investigation. In 1983, Blanchot published La Communauté inavouable (The Unavowable Community) in response to, and as a critical engagement with, The Inoperative Community, Jean-Luc Nancy's attempt to approach community in a non-religious, non-utilitarian and un-political exegesis. He died on 20 February 2003 in Le Mesnil-Saint-Denis, Yvelines, France. Lautréamont and Sade. Trans. Stuart Kendell and Michelle Kendell. Stanford, California: Stanford University Press, 2004. Many of Blanchot's principal translators into English established reputations as prose stylists and poets in their own right; some of the more well-known include Lydia Davis, Paul Auster, and Pierre Joris. ^ Osaki, Harumi, "Killing Oneself, Killing the Father: On Deleuze's Suicide in Comparison with Blanchot's Notion of Death", Literature and Theology (2008) 22(1). ^ Maurice Blanchot, The Station Hill Blanchot Reader: Fiction and Literary Essays (New York, Station Hill Press, Inc., 1999), p. 100. ^ Maurice Blanchot (1995) 'Literature and the Right to Death' in The Work of Fire. C. Mandel (trans). Standford: Stanford University Press. p. 300. ^ Stephane Mallarmé: Selected Poetry and Prose (1982) Mary Ann Cawes (ed). New York: New Directions. p. 75. ^ Maurice Blanchot, "The Song of the Sirens" (1959). ^ Taylor, Victor E.; Vinquist, Charles E. (2002). Encyclopedia of Postmodernism. London: Routledge. p. 36. Retrieved 1 August 2014. ^ Zakir, Paul (2010). "Chronology". Maruice Blanchot: Political Writings 1953-1993. Fordham University Press. p. 36. ^ Johnson, Douglas (1 March 2003). "Obituary: Maurice Blanchot". The Guardian. Retrieved 1 August 2014. Manola Antonioli, Maurice Blanchot Fiction et théorie, Paris, Kimé, 1999. Élie Ayache, L'écriture Postérieure, Paris, Complicités, 2006. Françoise Collin, Maurice Blanchot et la question de l'écriture, Paris, Gallimard, 1971. Arthur Cools, Langage et Subjectivité vers une approche du différend entre Maurice Blanchot et Emmanuel Levinas, Louvain, Peeters, 2007. Critique n°229, 1966 (numéro spécial, textes de Jean Starobinsky, Georges Poulet, Levinas, Paul de Man, Michel Foucault, René Char...). Jacques Derrida, Parages, Paris, Galilée, 1986. Jacques Derrida, Demeure. Maurice Blanchot, Paris, Galilée, 1994. Leslie Hill, Blanchot: Extreme Contemporary, Londres, Routledge, 1997. Eric Hoppenot dir., L'Œuvre du féminin dans l'écriture de Maurice Blanchot, Paris, Complicités, 2004. Eric Hoppenot dir.,coordonné par Arthur COOLS, L'épreuve du temps chez Maurice Blanchot, Paris, Complicités, 2006. Eric Hoppenot & Alain Milon dir., Levinas Blanchot penser la différence, Paris, Presses Universitaires de Paris X, 2008. Jean-Luc Lannoy, Langage, perception, mouvement. Blanchot et Merleau-Ponty, Grenoble, Jérôme Millon, 2008. Roger Laporte., l'Ancien, l'effroyablement Ancien in Études, Paris, P.O.L, 1990. Lignes n°11, 1990 (numéro spécial contenant tout le dossier de La revue internationale). Meschonnic, Henri, Maurice Blanchot ou l'écriture hors langage in Poésie sans réponse (Pour la poétique V), Paris, Gallimard, 1978, pp. 78–134. Anne-Lise Schulte-Nordholt, Maurice Blanchot, l'écriture comme expérience du dehors, Genève, Droz, 1995. Daniel Wilhelm, Intrigues littéraires, Paris, Lignes/Manifeste, 2005. Zarader, Marlène, L'être et le neutre, à partir de Maurice Blanchot, Paris, Verdier, 2000.